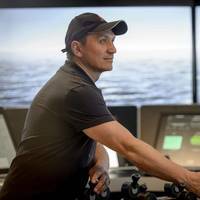 Kongsberg Maritime has entered a partnership with class society DNV GL to issue Product Certificates for Maritime Simulator Systems required by maritime training providers in order to meet flag state requirements under STCW regulation I/12. The partnership enables KONGSBERG to support training providers with an expanded scope of supply with support for mandatory requirements, whilst enabling DNV GL to reduce the overall cost of its certification services for training centers. Kongsberg Maritime and Algoryx Simulation have entered a five year agreement, which supports Kongsberg Maritime’s continuing development of fidelity and realism in its K-Sim range of maritime simulator systems. 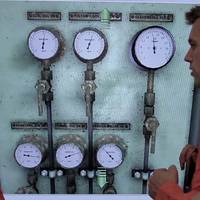 Simulators are today essential and integral in training, planning, prototyping and decision making for anchor handling, navigation, dynamic positioning, crane handling and many other complex processes in the maritime domain. 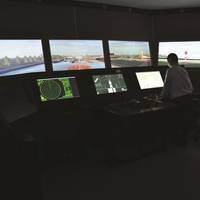 Kongsberg Maritime simulators are built on 40 years of simulation experience. 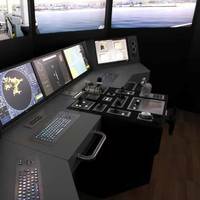 Indonesian Maritime School purchases DNV certified class A Full Mission Bridge Simulator to enhance its training curriculum. VSTEP will deliver and install a NAUTIS DNV Class A Full Mission Bridge Simulator at the Maritime Academy of Cirebon in Indonesia. The new simulator will be used to provide certified maritime training and education in accordance with the latest international standards. The Full Mission Bridge simulator is compliant with the Class A DNV Standards for Certification No. Following the installation of a VSTEP desktop trainer classroom last year, the Avante Escuela de la Marina Mercante in Colombia has now purchased a Class A Full Mission Bridge Simulator to further expand its simulator training capacity. The follow-up order for an additional VSTEP NAUTIS Class A Full Mission Bridge simulator was placed following the delivery of a desktop trainer classroom at the Avante Maritime School and the overwhelmingly positive feedback by students and instructors about the ease of use and high quality training possibilities of these desktop trainers. 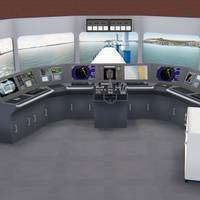 The Mexican Navy selected VSTEP to supply a Class A NAUTIS Full Mission Bridge (FMB) Simulator and 24 NAUTIS desktop trainer stations for the Naval Academy in Veracruz. The simulators will be installed at the new simulator training wing of the Heroica Escuela Naval Militar set to open in Q4 2014. The Heroica Escuela Naval Militar is the school where future officers are trained for the General Corps of the Mexican Navy. In line with the expansion of the school’s training facilities, a new simulator wing is currently under construction. VSTEP won a contract to install FMB and Tug simulators at all three FIDENA Maritime Schools in Mexico. The contract was won by VSTEP and its Mexican partner Edutelsa through an official competitive tender procedure and enables FIDENA to replace its old simulator technology with DNV certified NAUTIS simulators. FIDENA is the educational institution in charge of formal and comprehensive education of all seafarers in Mexico. 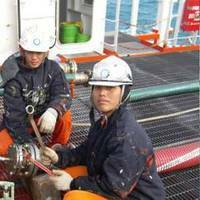 It is the only institution in Mexico that offers higher level study programs in the maritime field and has wide international recognition. FIDENA has three nautical schools located in Mazatlan, Tampico and Veracruz and its Headquarters in Mexico City. 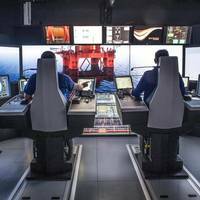 Texas State Maritime Program (TAMUG) has selected the Buffalo Computer Graphics and Transas Marine USA team for the contract to replace their existing ship simulator. The new simulator complex will consist of a Transas Navi-Trainer Professional 3000 full mission ship simulator system with integrated GMDSS communications simulation capabilities, as well as full integration with the existing BCG PCS100 five-station ARPA/Radar simulator. Using Transas Marine's combination of simulation software, dedicated hardware (real ship controls) and commercial-off-the-shelf components, the simulator will be an ideal tool in the training and certification of United States Maritime Service Cadets. Texas State Maritime Program, a component of Texas A&M University at Galveston (TAMUG) has selected the Buffalo Computer Graphics and Transas Marine USA team for the contract to replace their existing ship simulator. The new simulator complex will consist of a Transas Navi-Trainer Professional 3000 full mission ship simulator system with integrated GMDSS communications simulation capabilities, as well as full integration with the existing BCG PCS100 five-station ARPA/Radar simulator. 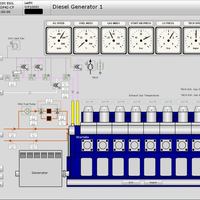 Using Transas Marine's unique combination of simulation software, dedicated hardware (real ship controls) and commercial-off-the-shelf components, the simulator will be an ideal tool in the training and certification of United States Maritime Service Cadets. Marine industry operations will grow and develop with highly trained workers as a result of the expansion and upgrade of the Full Mission Ship Simulator operated by the Texas Maritime Academy. The improvements were made possible by a $250,000 grant to Texas A&M University at Galveston by Houston Endowment Inc., a philanthropy endowed by Mr. and Mrs. Jesse H. Jones. Mike Kemp, vice president and CEO of the campus, said this funding will significantly assist the university in complying with operational standards and technological requirements established by the International Maritime Organization (IMO) and the U.S. Coast Guard (USCG). The Texas Maritime Academy is one of only six in the United States and the only one on the Gulf coast.